Prior to the election of the business-worshipping, union-busting, climate denying Wisconsin governor Scott Walker, the state's Department of Natural Resources website was a rich trove of information about climate change -- as you'd expect from a state with a lot of fresh water, where resource extraction played an important part in the economy. For years now, the DNR's website has been systematically, silently flensed of mentions of climate change, even as the governor has publicly contemplated shutting down the DNR altogether. 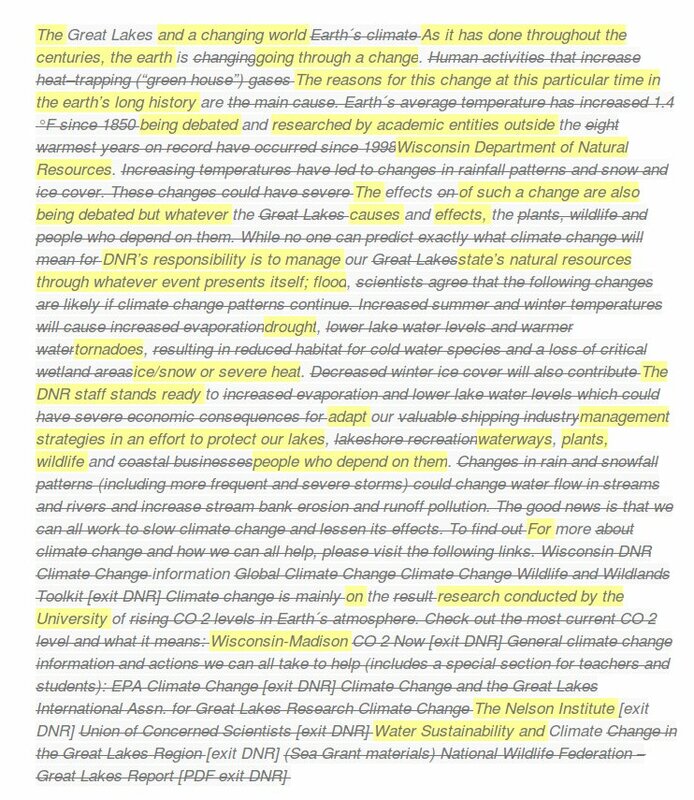 The latest science to get a political whitewash is the DNR's page on the Great Lakes and climate change, whose rewrite would do Orwell proud.